An Activity That Draws Kids Closer To Nature! 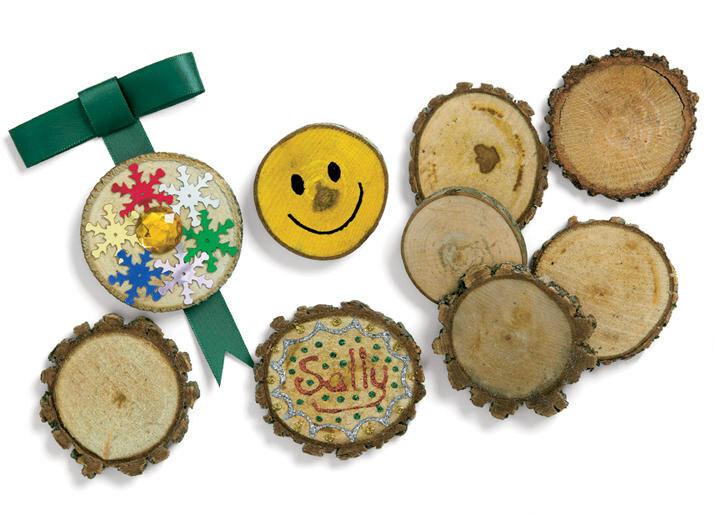 Decorate cross sections of real wood branches with paint, markers, or adorn with sequins and mosaic pieces! Add a pin to make a beautiful broach or a magnet to make a fun fridge decoration! Buy 1 for $7.31Buy 2 / Save $0.39!Buy 3 / Save $1.46! Size (inches): 7.87" X 0.39" X 8.66"
Discs are approximately 2" (5 cm).